Not content with spreading lies about registering their Ponzi scheme with the SEC, USI-Tech and their affiliates are spreading porky pies about a contract with BitFury. For those unfamiliar with the company, BitFury claim to be a “full service Blockchain technology company”. The Bitfury Group develops and delivers both the software and the hardware solutions necessary for businesses, governments, organizations and individuals to securely move an asset across the Blockchain. 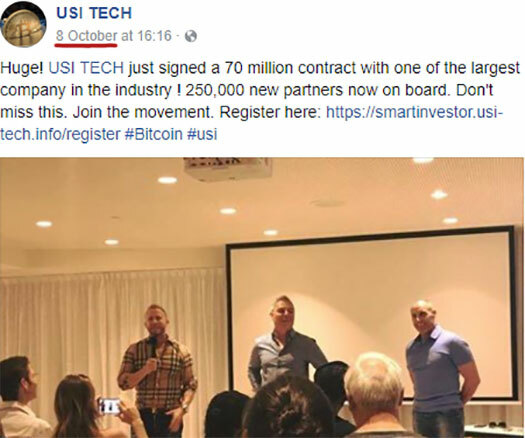 USI-Tech marketing material promoting a $70 million dollar deal between the company and BitFury began circulating about three days ago. “What’s the Scoop?” you say. USI-TECH has acquired 70 Million Dollars of Mining power through the BitFury Group — one of the largest and most lucrative mining companies in operation. This is an unprecedented acquisition, typically refused to most companies approaching BitFury, due to the significant draw on resources the purchase represents; however, for USI-TECH, the “Sky’s the Limit”, and the deal was inked, thereby adding years of longevity to the already potent powerhouse that is USI-TECH. 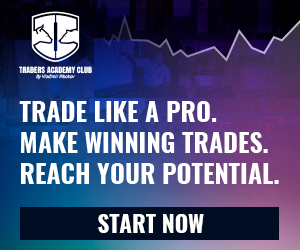 The event referenced in both posts is a recent “VIP” event held for top USI-Tech investors in Mallorca, Spain. It was at this event that USI-Tech’s owners purportedly revealed that $70 million BitFury contract. Naturally it didn’t take long for the news to reach the rest of the USI-Tech affiliate-base, who promptly began spreading it all over the internet. According to BitFury CIO Alex Petrov, there isn’t a contract. USI Tech doesn’t sign any contracts with Bitfury, contact are fake. This is officially confirmed from Bitfury side. Putting aside a BitFury contract doesn’t negate USI-Tech running a Ponzi scheme since late 2016, one can only speculate as to why USI-Tech management would create a lie that is so easily debunked. The obvious reason was to detract attention away from the bogus SEC registration, which was also ridiculously easy to debunk (an Edgar database search takes all of two seconds). What with BitFury quick to confirm no contract between the two companies exists, I wonder what new lie USI-Tech will come up to cover up their latest PR blunder? David Wood vs. WorldVentures: TRO granted, religious persecution?